Duke eNable was started in spring of 2016, and since then has become an efficient 3-D-printing group that works to make prosthetic- like devices for amputees at home and abroad. Even with such success, its president has recently found herself wondering how to more accurately describe the club's role in the field of prosthetics. As a group of creative undergraduates who have access to 3-D-printing technology, Duke eNable accomplishes many feats in the name of "prosthetics." But can its work rightfully be categorized as such, and if not, what can we call it? To find out, consider some of the work that the club has done. The club's first beneficiary was a baker from Wake Forest named Kaylyn (above). The club's primary focus with Kaylyn has been to build devices that are task-specific. For example, past devices include one that lets her turn her swing table to facilitate cake frosting, one that allows for easier dough rolling, and one that helps with opening the refrigerator in her bakery. Current endeavors include optimizing past devices based on Kaylyn's feedback and designing a new device that will enable her right arm to hold and drink from bottles and cups. The next recipient's name is Nathan, a 12-year-old boy with a congenital deformity below his elbow. His needs have inspired several projects, including an arm and hand system that allows Nathan to grip a bike handle. It has since been decorated with a Star Wars-themed slingshot, per Nathan's request. The device is an elbow-powered, cable-driven system that uses elbow movement to control finger contraction and relaxation. eNable approaches Nathan's devices as fun ways to help him transition to the prosthetic arm he is currently awaiting. The team will be releasing their designs on the Duke eNable website so that other groups with similar missions can make use of them for their own beneficiaries' needs. Another local community member the group has worked with is a recent pharmacy school graduate named Brooke, who has a congenital partial-hand deformity. As a pharmacist, Brooke often must give vaccines to patients. However, her deformity gets in the way of this because it limits her ability to pinch skin. 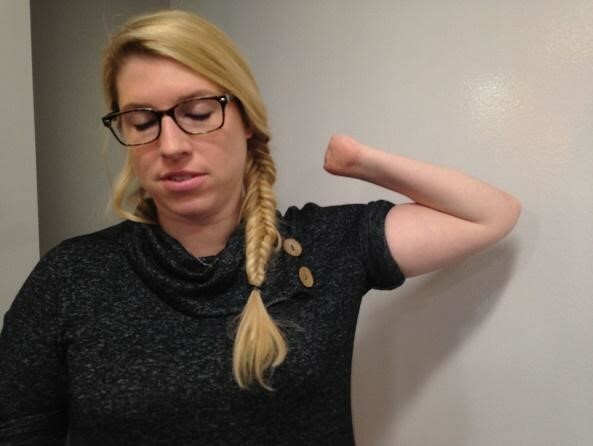 Duke eNable addressed this issue by adjusting open-sourced files to create a wrist-powered device that generates a pinching force when Brooke rotates her wrist. The team is looking forward to delivering this new device to Brooke for a test trial. Finally, meet Chris, Duke eNable's international recipient from Haiti. Chris's project was one of eNable's most demanding projects yet, as the distance put the team in a tricky position. Because travel to Haiti to fit and measure Chris was limited, the group had to over-prepare for each visit to plan for any obstacles that could pop up. The goal of this project was to provide Chris with gripping ability in his left hand through the activation of mobility in his shoulder. 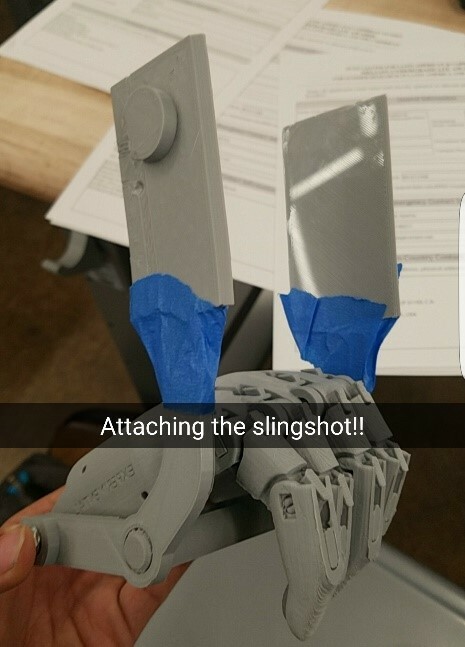 This involved designing a harness connected by cable to the thumb of the hand that would allow for gripping control through shoulder movement. 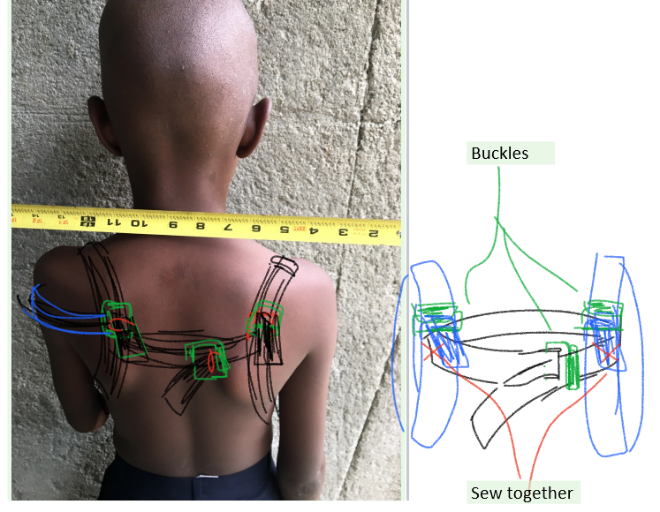 With this device, eNable members not only hoped to give Chris greater freedom of motion, but also to help him overcome the stigma surrounding physical deformity in his culture. There is a clear pattern in Duke eNable's work that shines through each of their projects—each recipient that the club works with is offered the highest level of individualized attention. However, despite its efforts to give each recipient the most thorough and complete treatment experience possible, there is still debate over what groups like eNable can call their products. One reason behind the hesitation simply lies in the fact that the devices the club produces are normally for specific activities and not for day-to-day use. What the club prints can more accurately be described as "assistive devices." Beyond this technicality, there are concerns that university clubs like Duke eNable must consider before likening their efforts to that of licensed prosthetists. The club has little to worry about when it comes to giving the patients their devices. However, in the field of prosthetics, there are many stages that a device must go through to finally reach its recipient. This is all in the best interest of the patient since it ensures that the device is optimized in every possible way before the patient uses it. Although Duke eNable strives to emulate this optimization process, it is limited in resources to do so on the same level as industry. As licensed prosthetist Ashlie White states, "I believe this to be a moment of technological disruption, and engineering students are the perfect group to push these boundaries. I just think it is important to remember that there is a human being with a medical condition on the receiving end of this project, and someone needs to be looking out for his or her best interest." With Ashlie's words as a reminder of the role it plays in this evolving field of prosthetics, Duke eNable continues to help its recipients approach each day with more ease. Sabrina Qi is a sophomore pursuing a biomedical engineering major and global health minor.